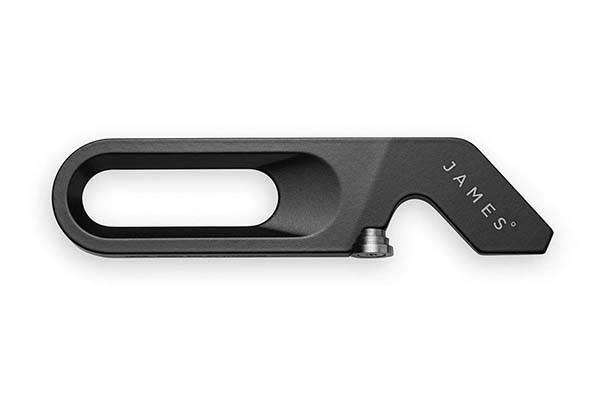 James Halifax titanium keychain multi-tool is designed to help you deal with some emergent tasks in daily life with its multiple integrated tools. Like the idea? Let’s keep checking. The Halifax is a beautifully crafted and multi-functional keychain with multi-tool that measures 2.9 x 0.6 x 0.1 inches and weighs 2.08 ounces. As shown in the images, the multi-tool boasts a minimalistic and sleek appearance design defined by the matte black finish and elegant contours, and the glossy metallic accents complement to the minimal elegance for more modern aesthetics. Meanwhile, the compact design allows you to take it with you anywhere. 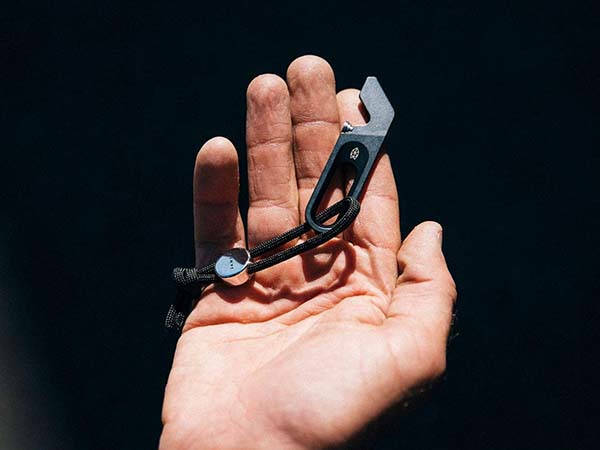 The multi-tool keychain is machined from a single block of 6AL4V titanium for a solid and lightweight construction. As a multi-tool, the Halifax delivers three practical tools including screwdriver, pry-bar and bottle opener, and the screwdriver works with both flathead or Phillips. Moreover, the simple shape ensures it fits naturally in either hand for easy usage. The Halifax titanium keychain multi-tool is priced at $50 USD. If you’re interested, jump to the product page for its more details.